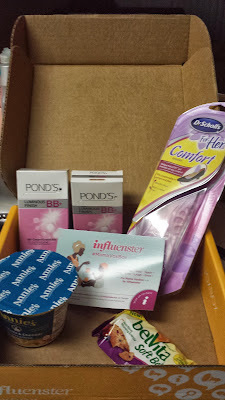 A few months back, I signed up with a website called Influenster.com to receive free products to review on my blog. 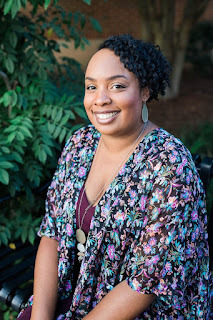 Thanks to another mommy blogger that gave me a invite link to get me started. About a month back, I got a box full of goodies from Influenster.com called the #MamaVoxBox. I believe each month they have different kinds of boxes with different products for women to review and share their opinions on different social networks and blogs. So basically they're a word of mouth marketing company. Big brand companies uses companies like Influenster.com to help them find people to review their products and share their opinions through different platforms. In this box, I received a complimentary belVita Soft Baked Biscuit, Dr. Scholl's For Her Comfort Insoles, POND'S Luminous Finish BB+ Cream (Light and Medium color), and Annie's Microwavable Mac and Cheese Cup. belVita Soft Baked Biscuit is a great morning snack on the go to start your day. The taste reminds me of Fig Newtons cookies and also the texture. I like the fact that it has 20% of Fiber. The flavor I had was the mixed berries and it was pretty tasty. I'll start looking for these in stores to buy for myself and family. Ingredients- Whole Grain Blend (Rolled Oats, Rye Flakes), Enriched Flour [Wheat Flour, Reduced Iron, Niacin, Thiamin Mononitrate (Vitamin B1), Riboflavin (Vitamin B2), Folic Acid], Canola Oil, Invert Sugar, Invert Sugar, Inulin, Sugar, Raisin Paste, Glycerin, Dried Cranberries, Cornstarch, Dried Blueberries, Baking Soda, Soy Lecithin, Salt, Dried Niacinamide, Blueberry Juice Concentrate, Pyridoxine Hydrochloride (Vitamin B6), Riboflavin (Vitamin B2), Thiamin Mononitrate (Vitamin B1). Contains: Wheat and Soy. I put these soles in my black pumps and they made wearing heels more comfortable. Also, my back heel of my foot would always slip out of my pumps but with these insoles it prevented that. If you wear high heels and feet always hurt wearing them I really recommend using Dr. Scholl's For Her Comfort Insoles. These insoles also works with flat shoes and boots. I'm very disappointed with POND'S BB+ Cream. Since I'm African American with caramel colored skin, the color didn't match at all and I used the medium color. I looked very ashy and it didn't cover any of my dark spots like the package claimed it would do. I believe their BB+ creams would work better for people that are Caucasian and have light or olive colored skin. I may start using it for contouring my face, like using it under my eyes, chin, and forehead for highlighting. If you're looking for a more wholesome macaroni cheese without a bunch of artificial ingredients, Annie's Mac and Cheese Cup is the best! It's yummy and cheesy! There are no artificial flavors, synthetic colors, or preservatives, gluten free, and cheese is from cows not treated with the growth hormone rBST. The mac and cheese cup is done within 2 minutes and all you need is water to make it. It comes with a cheese sauce packet you stir in after the noodles are cooked. Ingredients- Rice Pasta (Rice Flour). Cheddar Cheese (Cultured Pasteurized Milk, Salt, Non-Animal Enzymes), Tapioca Starch, Organic Corn Starch, Whey, Organic Coconut Oil, Nonfat Dry Milk, Butter, Potassium Chloride, Salt, Cultured Whole Milk, Sunflower Lecithin, Sodium Phosphate, Annatto Extract for Color, Silicon Dioxide (For Anticaking). Contains Coconut and Milk Ingredients.